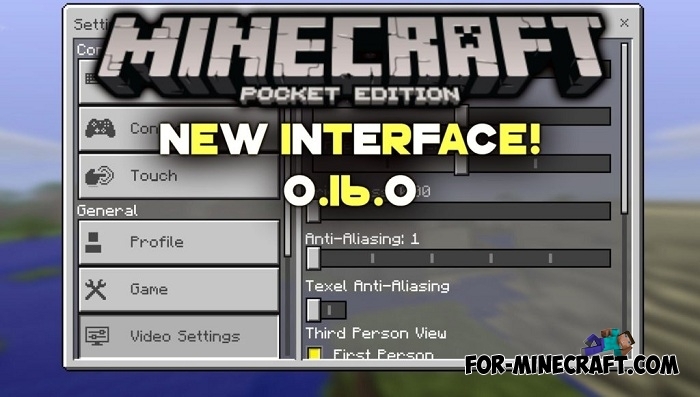 After a long beta, the developers have released a long-awaited Minecraft PE 0.16.0 for Android and iOS devices. We now turn to the new features and functions. - Added the ability to configure the connected keyboard keys. - Settings interface has been changed. - Trade with the villagers. This feature is not developed, there is a non-functioning Open button instead of the full interface. To use it you need to sneak and go to the villager. - Addons. The unique support for modifications. At the moment, the mobs model and characteristics of entities only can be changed. Ocean monuments were added in the world generation. This structure is generated in the deep ocean biome. Ocean monument consists of a variety of rooms, most of which do not carry any meaning except the aesthetic. 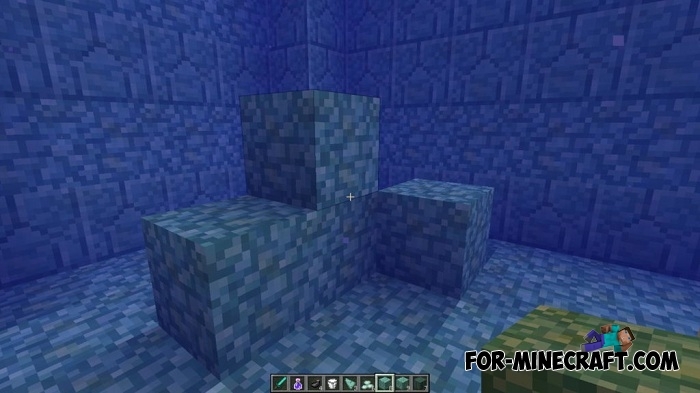 In the main room you will see a highly visible cube (4×4×4) consisting of various prismarine blocks. Breaking it you will find 8 gold blocks. Also, there are generated three special rooms where elder guardian resides. You can find a wet sponge in some rooms, this block should further stimulate the player to search. 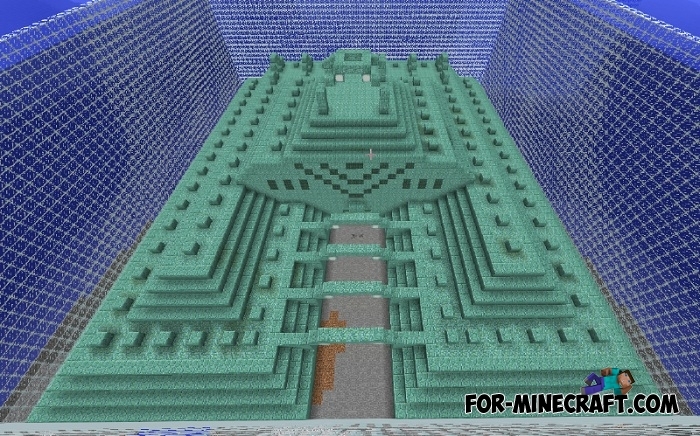 Sea lantern is a block which can only be found in the ocean monuments. It emits light and has a faint animation. Prismarine is the common name of three types of blocks consisting of stone-like material. 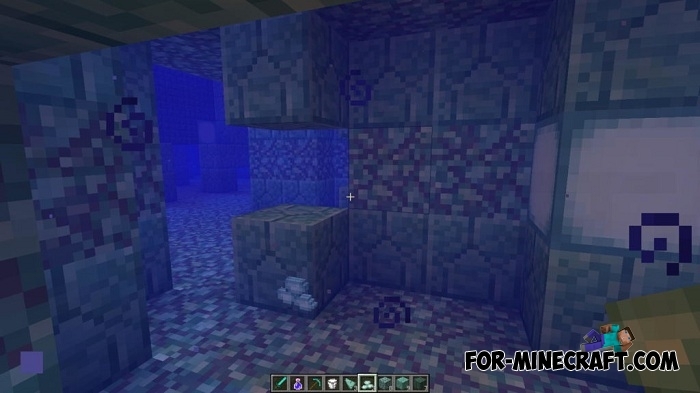 Prismarine blocks are generated only in the ocean monuments. Wet sponge is a block which absorbs the water around itself. Beacon is a special block which can give players different effects in a small radius. 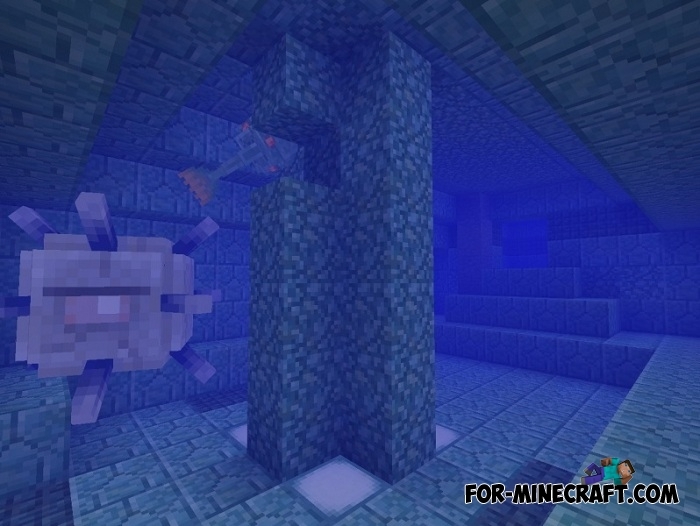 Guardian is a hostile underwater mob. There is also a enhanced version of this mob - the elder guardian. 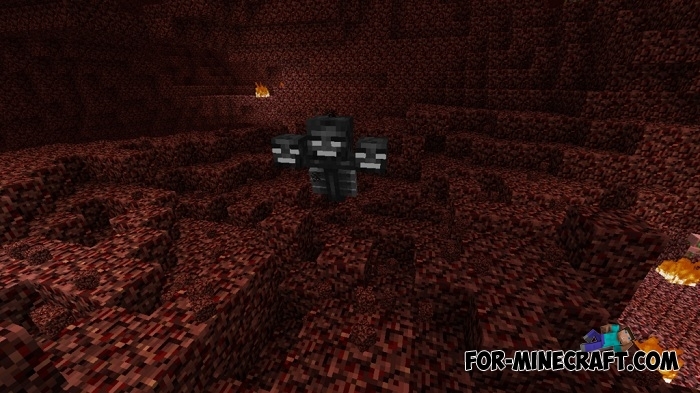 Wither is a formidable boss. 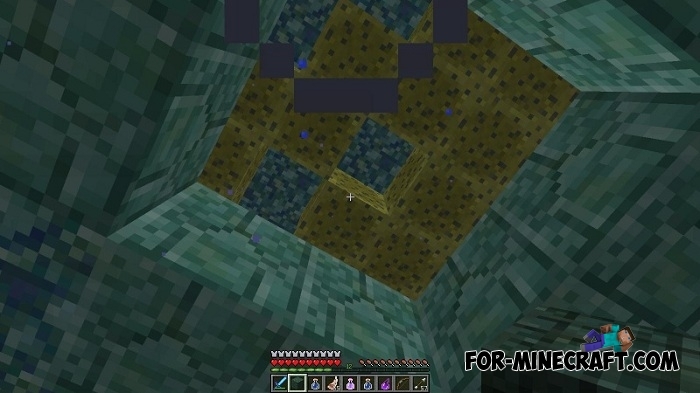 You can get the nether star if you kill him. Looting sword does not increase the drop items. In general, Boss Update is a great continuation. Finally, players will be able to fight with new mobs and bosses, explore the new structure, use the beacon and console commands in MCPE 0.16.0. Mojang team was able to set priorities in the development of Minecraft PE - we saw a bit of everything: blocks, generation, console commands, mobs, and bosses. Also, do not forget the addons that are currently provides a small editing set of mobs.